Easier to say than do, I know, but ride the bike and enjoy it on the road. None of the bikes I own are especially valuable, and they all earn their keep by making my commute much more enjoyable as well as Sunday club runs and sportives. They're steel bikes so in the worse case scenario of a frame breaking they are repairable. 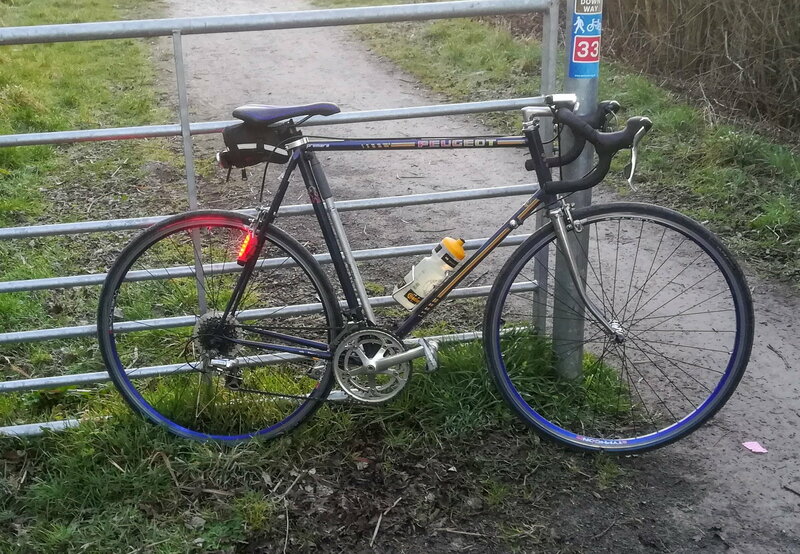 Here's my Peugeot Premiere, I bought it new in 1986 for less than £100; there's not much original left on it apart from the frame, seatpost, brakes, stem, and bottle cage - one of the rear dropouts was replaced quite a few years back. It's done thousands of miles, still gets me to work regularly, and often gets used on longer rides. Still makes me happy every time I ride it, which is why I keep riding it. Best £100 I ever spent! The only worry I really have is of a bike being stolen; I use a rather tatty BSA as a town bike and even though that cost me next to nothing I think I'd still be more upset than if the car was stolen.